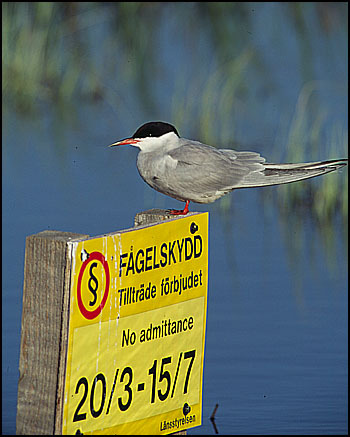 Falbygden´s Bird-watchers´ Club was founded in 1958 and has now more than 230 members. Falbygden is an old popular name of the limestone plateau, where Falköping is the main centre, situated in the province of Västergötland in SW Sweden. There are many good bird-watching places in the area, and the best known of them is Lake Hornborga, the best bird-watching lake in Sweden. During the spring about 10 000 cranes rest here, and they attract bird-enthusiasts from the whole country to look at the spectacle. But above all richness in wild ducks, grebes, a big colony of black-headed gulls and others attract the watchers. Much of this is visible from Fågeludden on the eastern side of the lake.